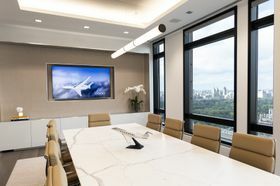 SAVANNAH, Georgia, October 9, 2018 — Gulfstream Aerospace Corp. today announced it has opened a Sales and Design Center in Midtown Manhattan. The nearly 8,500-square-foot/790-square-meter space expands Gulfstream’s portfolio of showrooms and sales offices intended to enhance the customer experience with centralized locations and white-glove sales and design service. Gulfstream’s Manhattan Sales and Design Center serves one of the world’s busiest business-aviation regions. 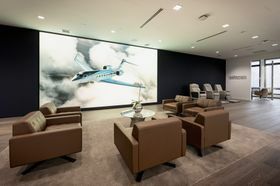 The space features dynamic digital tools and thousands of material samples that help launch the customization and personalization of every Gulfstream aircraft. 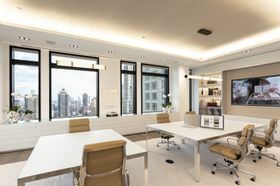 The Manhattan Sales and Design Center is staffed by Gulfstream Sales executives and Gulfstream interior designers. 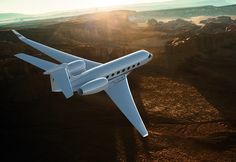 Gulfstream also has sales and design centers in London, Savannah, Dallas and Long Beach, California.